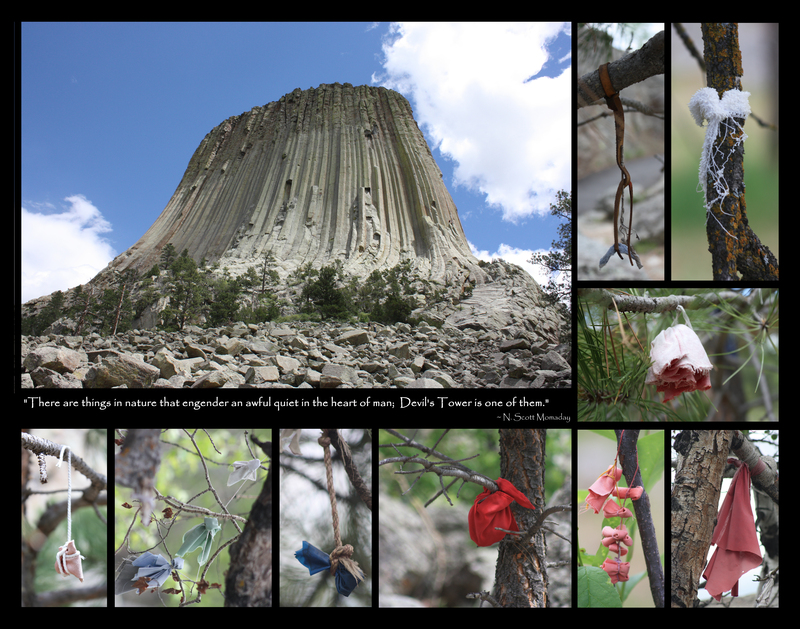 We visited Devil’s Tower a few years ago and were struck not so much by the huge towering hunk of rock as by the dangling offerings of tobacco and torn fabric adorning the branches of the surrounding trees. Devil’s Tower is sacred to Native Americans and their offerings are a testament to it. This compilation of my photos cannot do justice to the sense of awe I felt while in the presence of such community.